By definition, it is a social network that is one way for business professionals to network with other business professionals. LinkedIn is a place to go to focus on your business, to connect and nurture business relationships. And it can act as an amplifier of your original PR content already in use. And as an added bonus, research has shown that marketers prefer LinkedIn and Twitter when focusing on businesses reached via social media. Sadly, not all stories are trusted equally on social media. But if it is earned media, from trusted sources, then it is the most trusted. The most trusted information that is put out there is from your most valuable asset, your customers. From feedback, reviews and shares on your page, these are parts of YOUR user generated content which is crucial to your company. And 25-40% of website traffic comes from earned media. Social media adds flames to the fire, the word of mouth exposure is invaluable to your brand and this comes from customers. In addition, an employee posting on social media about their company is 6 times more reliable than messages coming from the company. And a company that encourages their employees to post messages about their company reaches 15 times more people compared to just sharing the company page on LinkedIn. 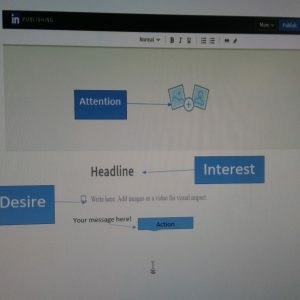 A way of presenting that on your LinkedIn page is to use the publishing tool and attribute it “Originally published in ABC”. Overall, 97% of social media is posted between people and not people and companies. 91% of B2B buyers are influenced by WOM. Conversions matter! And this is something all businesses look at to see how they are doing with the content on their page. Conversions will take place when visitors visit your website, your brand has earned positive praise from unpaid sources, and your conversion rates go up. When this happens, ROI numbers go up and your marketing campaign and the earned media has grown your brand online. This is hard work, the earned media concept. Is it worth it? Yes. Is it hard? Maybe harder than some, but in some ways, it is more respected because it is the customer judging you, and you not paying to have the information put out there. Increased exposure for your brand message. Your message is placed in new and different media vehicles. The endorsement of your brand, via feedback, reviews and shares. And increased level of communication with clients and consumers via social channels they utilize. Earned Media: You benefit from reviews, shares and feedback, and it does not cost your business any money. Lack of control over what is being posted. While it may be a disadvantage at first, a negative review is also an opportunity to gain goodwill by taking care of the complaint or issue. Earned Media: Little control over placement and the nature of the content. You can add information on your LinkedIn page. INTEREST: Because you might be interested in purchasing from that company, you pay attention to what is being said about the products and the company itself. DESIRE: Does it make you want to run down and purchase one? ACTION: What is the desired outcome? 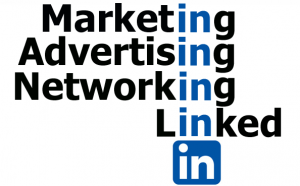 This media is utilized more for business to business viewing and networking, while others may view it if they have a LinkedIn account. This is a way to inform, connect and persuade others to learn about you and to purchase your product or service. An excellent way to reach the professional photographers who shop at Kent’s Camera Castle could be an outdoor or professional photographer evaluating the Canon Rebel t6i camera and sharing their review on Kent’s Camera Castle LinkedIn profile. Or Kent’s Camera Castle might see a post on someone else’s LinkedIn profile and share it to their own page, with the “Originally Published In “ABC” tagline. Any added exposure is a plus, and it helps with the search engine optimization. Another way is to ask for a backlink when an article is posted on another website and you would like it to point to your website. It never hurts to ask, and it improves the search engine optimization. Or repurpose a blog and post it on your LinkedIn page and reference the original blog. And Google will reward you for frequently updated content! I learned that having a LinkedIn profile was easy, and while it may take time to have your information added to the profile, it was very easy to sign up for a “free” account. One misconception I had was that while it is easy to create a profile, you constantly have to monitor it, and read the reviews or feedback. Not everyone will call you up if they have a problem and you want the opportunity to deal with any concerns. Machin, Erica. “What is Earned, Owned & Paid Media? The Difference Explained.” http://titangrowth.com/newsarticles.trifeca.html. Accessed November 20, 2017. Leap, Matt. “How To Maximize Earned Media With Top Sharing Channels.” https://hipb2bcom.blob/maximize-earned-media-top-sharing-channels/ Accessed November 20, 2017.
https://blog.smarp.com/the-forgotten-role-of-employees-on-social-media/ Accessed November 20, 2017. Risi, Jennifer. “Earned Media More Essential Than Ever in Today’s Marketing Mix.” https://www.huffingtonpost.com/jennifer-risi/earned-media-more-essenti-b-7831762.html. Accessed November 20, 2017. James, Kristen. “How to Amplify Earned Media Through Digital Strategy.” http://piercom.com/insight/amplify-earned-media/. February 8. 2017. Accessed November 20, 2017.